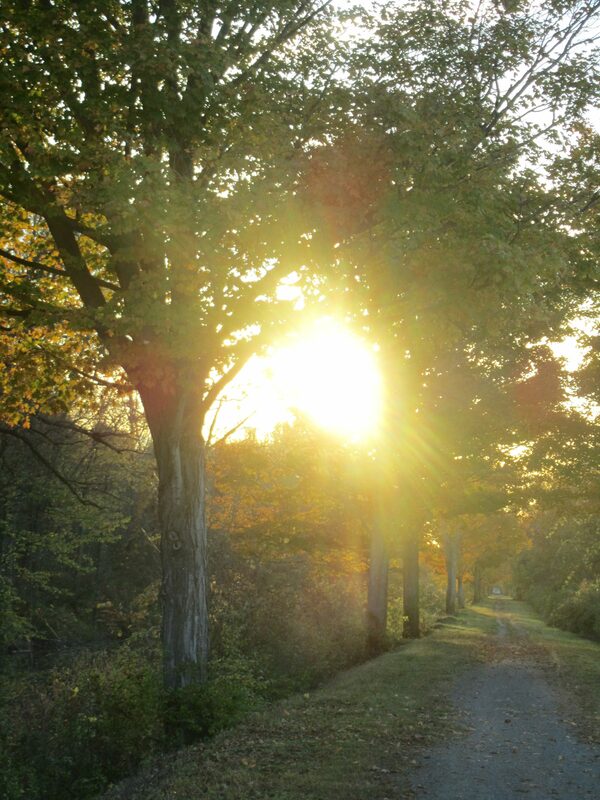 We love to walk this trail where October pours its gold over it near sunset. The radiance of the sun makes our shortened daylight brilliant to behold. It is of course harvest time where we are, a time for readying ourselves to go inside, to savor the fruits of the seeds we’ve planted and nurtured all season. The practice of yoga, invites us to reap what’s sown within us, within our bodies, minds and souls. October is a perfect time to step on to the path with Vrksasana, the tree, rooting into the earth while opening branches to the sun. Welcome the light, invite it in.